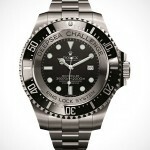 Rolex time pieces are synonymous with suit and tie, which is of course, not everybody’s cup of Earl Grey. however, the DRx Bamford Army vs Navy Watches might just change your perception of Rolex watches as overly serious luxury time pieces. 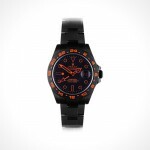 the duo are the fruits of a collaboration between King Features Syndicate and LA-based cultural clothing alchemist, Darren Romanelli, and presented by custom luxury watch maker, Bamford Watch Department. 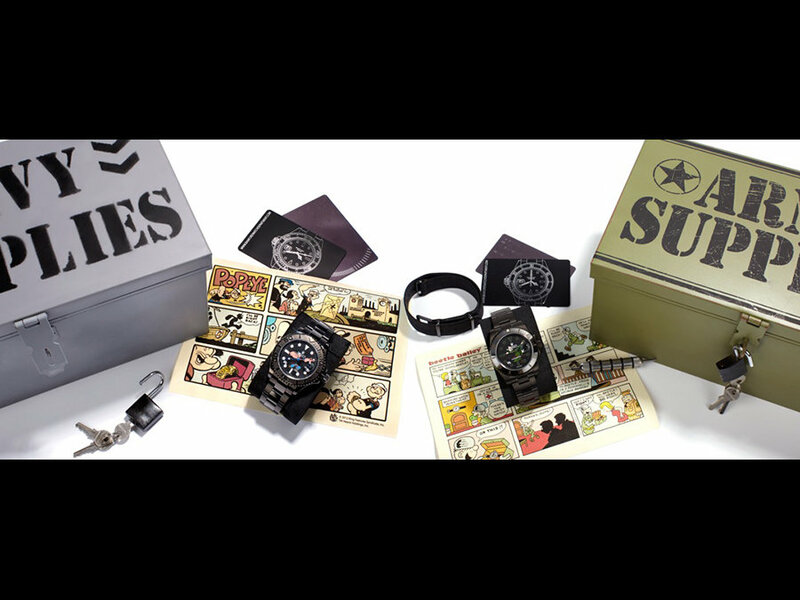 based on Rolex Yachtmaster and Submariner, these pair of watches are given a comic strip makeover with Beetle Bailey and Popeye gracing the face of the Submariner and Yachtmaster, respectively. 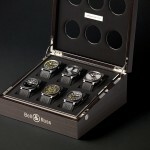 other features include Dr. Romanelli logo engraved on the caseback, along with the numbered edition. 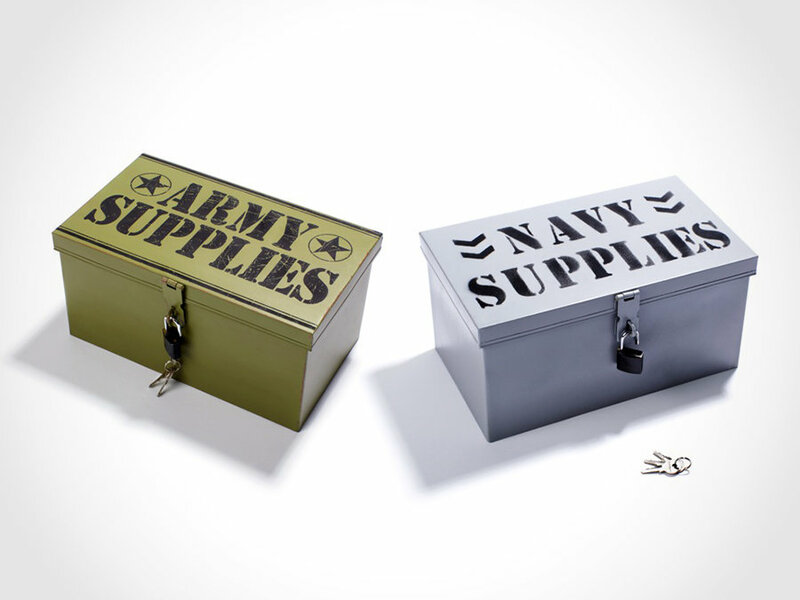 each watch comes with a custom comic strip and a corresponding Army- and Navy-themed metal box. 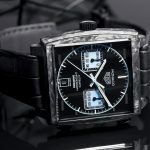 only 20 units of each example are available through seven select retailers including Just One Eye (Los Angeles), The Webster (Miami), Colette (Paris), DSM (London and Tokyo), Lane Crawford (Hong Kong), Exit (Hong Kong), and E’Collezione (Singapore). 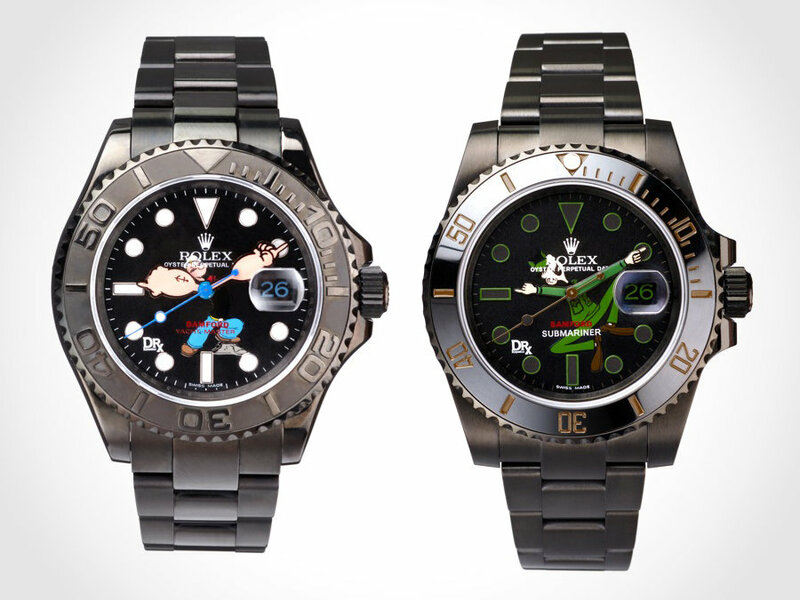 the Bamford Beetle Bailey Submariner Rolex Watch has a list price of $24,490, while the Bamford Popeye Yachtmaster Rolex Watch will set you back at $32,390. click through for a few more look.